Our mission statement: To educate, and provide creative curriculum that educates the heart as well as the mind by encouraging academic success, and enhancing moral literacy. Carole Cliffe graduated from California State University Northridge with a teaching credential and degree in psychology. For over 30 years, she has worked in the Sulphur Springs School District in Los Angeles County schools as teacher, mentor, BTSA trainer, language development specialist, and character consultant. Carole authored and implemented T.R.A.I.N., the program which integrates character education and the language arts state standards. In addition, she has served as a professor at the Master's College, training student teachers. 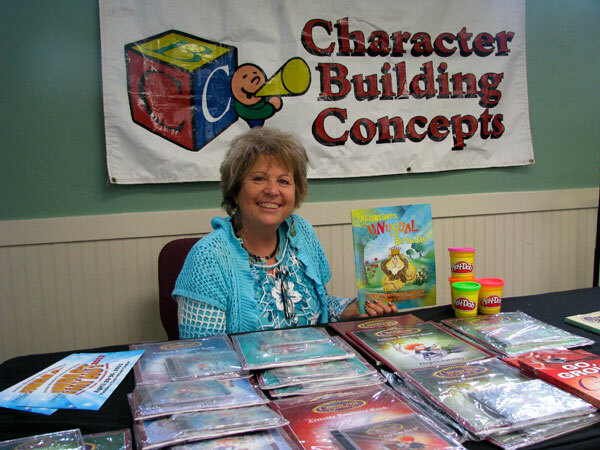 As educator and mother, she wrote an excellent curriculum on strategies to integrate character values in her two books, Building Character in the King's Kids, and Character Quilting. Her international credits include curriculum for the Ministry of Education for Albanians. Her articles in educational magazines and newspapers have been an inspiration to her colleagues. The Christian Educator's Association - National Educator of the Year Award for 2001, 2002. Edwards IMAX Theatres and Staples "A Teacher to Remember" Award 2001. The Newhall Land and Farm Fine Arts Grant, presented May 2001. Educational articles written in Vision magazine.